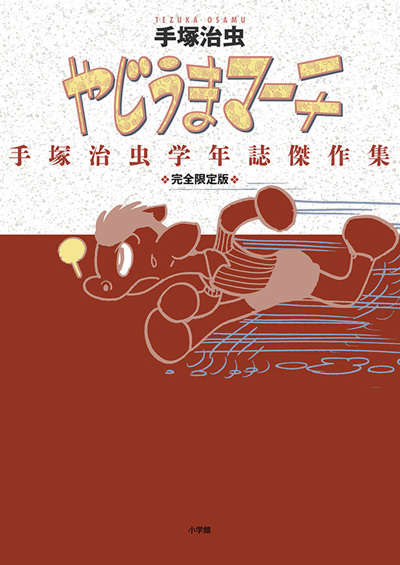 Yajiuma March, the comedy kids’ manga of a hybrid boy of a human and a horse called Umataro who causes various troubles is reprinted as the comic book for the first time since the first publication. Piron no Himitsu and Boken Hosokyoku are also included. *The reproduced manuscripts (B5 size) is given to the purchaser on Fukkan.Com.